Sherry Franzoy has been an award-winning interior designer with Decorating Den Interiors, since January 2001. Her business is based in Las Cruces, New Mexico. Her design philosophy is to create a memorable experience with clients, by listening to their desires and making it happen. She’s been a member of the Century society since 2002, and is now a lifetime member because of annual sales, and has been an Executive Franchisee since 2005 and is also in President’s club. She is now a National award winner, by submitting for the first time, and placing 3rd in Dream Room 2009. 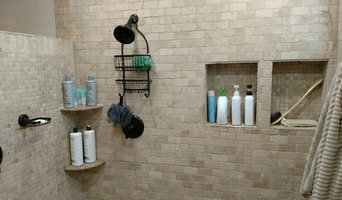 In 2010, she entered Dream Room again and won 1st place on a bathroom remodel and also, 1st Runner up Decorator of the year. Sherry achieved professional certification, DDCD, in 2010. 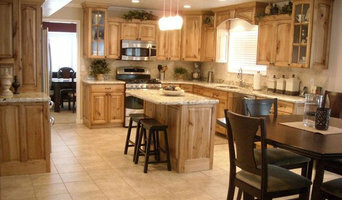 The past 2 years she won the “People’s Choice Award” for best Interior Designer in Las Cruces. It’s one of the greatest honors as it’s voted by her peers and previous clients. In 2013, Sherry received the Director’s Award for making Top 40 in design sales. She now serves on the board of The Leadership Council for Interior Design. She belongs to the Building Industry Association and has chaired many committees inside the association, as well as the Chamber of Commerce. She is also an active member of the Las Cruces Rotary. She currently serves on the Board and is Director of Club Service II. 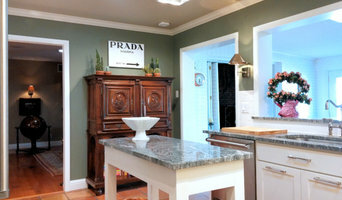 We are a full service Kitchen & Bath Remodeling Firm. In addition to building your perfect kitchen and bath, we are experts in granite fabrication and many other speciality services when it comes to remodeling the two most important rooms in your home. We are a company that cares about their customers. Through constant communication with our clients, you can rest assure your project will be done right and on time.